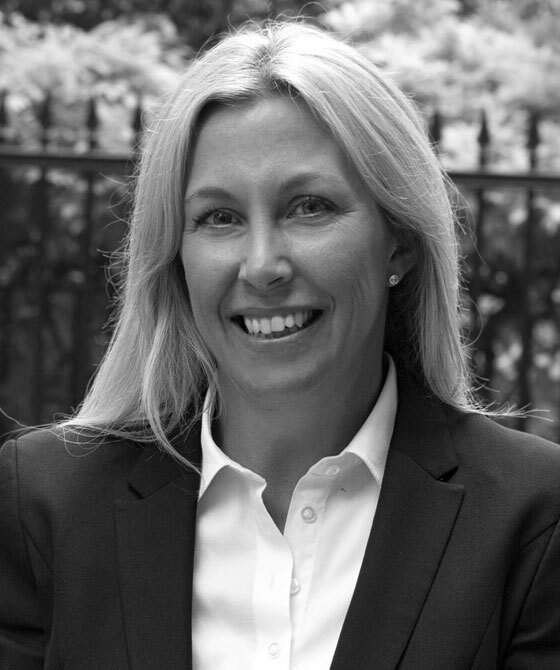 Michelle specialises in personal injury with associated professional negligence and fatal accident claims. Michelle is regularly instructed in cases with technical aspects on liability and in a wide variety of employers’ liability, Highways Act Claims and Road Traffic Accident claims. Michelle has extensive experience in cases concerning staged accidents/RTA fraud and high value ‘malingering’ PI cases. Michelle has been elected Deputy Head of 3PB's Personal Injury group. W v Bam Nuttall Ltd (Ongoing). Instructed on behalf of Claimant who sustained significant injuries during the course of his employment. The Claimant’s injuries included left knee multiple ligament injury with PCL reconstruction, soft tissue injury to the left shoulder and Psychological injury – Adjustment Disorder, prolonged depressive reaction. Case complicated by reason that the Claimant suffered a previous severe traumatic brain injury and a mild organic personality disorder. M v Ager and M (Ongoing). Instructed on behalf of Claimant who sustained life changing injuries as a result of a road traffic accident, including traumatic brain injury with permanent cognitive difficulties, personality change impaired balance and mobility. Claimant also suffered vertical squint and orthopaedic injuries. As a result of his injuries the Claimant lacks capacity. Ahmed v. Richards (2018). Successful defending a claim with the Claim being dismissed for fundamental dishonesty and the consequent removal of QOCS protection. D v. Boots UK Limited, (2018). Michelle was instructed to represent the Claimant at a 2 day quantum only trial in which the Defendant had belatedly raised fundamentally dishonesty. Whilst FD was dropped at the doors of the Court the Defendant was still alleging exaggeration of symptoms. HHJ Berkeley found in favour of the Claimant on all aspects of Claim as advanced at trial and awarded Claimant damages in the region of £148,000. Claimant substantially beat a Part 36 offer that had been made on Michelle’s Advice and received benefits pursuant to CPR 36 but Michelle also obtained indemnity costs from the earlier date when the Defendant had raised the issue of Fundamentally Dishonest. S v. Gooch and Zenith Insurance (ongoing). Instructed on behalf of the claimant, a professional musician, who suffered injuries in RTA, including a dystonic tremor of the upper limb, orthopaedic injuries and PTSD/Adjustment Disorder. Complex issues on causation and impact on occupation. B v. Selleck -Emery (Ongoing). Instructed on behalf of Claimant who was involved in a RTA whilst jogging. Liability in dispute. Claimant suffered significant injuries including fracture of the right tibia bone, requiring a skin graft, facial injuries – including dental injuries and scarring, head injury, discoid dermatitis and Post Traumatic Stress Disorder. Akande Nike v. Orsula . Instructed on behalf of the Claimant, a French National, in respect of her own personal injury claim and Fatal Accident Claim arising out of the death of her husband and two children in a road accident which occurred in England on M26. Claim raises complex jurisdictional issues as Defendant is Slovakian. Case settled at joint settlement meeting. Brown v East Cheshire NHS Trust . Instructed on behalf of Claimant in respect of her claim for complex shoulder injuries, including Neurological thoracic outlet syndrome, sustained as a result of an injury at work. Causation and injury in dispute. R (a minor) [2017 and ongoing]. Instructed on behalf of minor in relation to serious and complex injuries arising out of a road traffic accident. Complex causation issues in respect of brain injury, psychiatric injury and behavioural problems. Janjua v Lane [2016-2017]. Instructed on behalf of Claimant in respect of complex ankle injury and psychological injury as a result of a road traffic accident whilst Claimant was riding a motor cycle. Liability in dispute. Case settled in excess of £300,000. Hudson v Wise . Case involved the complex issue on causation in relation to the Claimant’s Cervical Dystonia. Successfully negotiated. Davis v. X9 [2017 – ongoing]. Instructed on behalf of the Claimant who suffered traumatic brain injury and trauma-induce blepharospasm in accident. Liability, causation and quantum in dispute. Brooker v Akkeron Hotels Group Limited . Instructed at the last hour to represent the Claimant at a 2-day damages only trial involving dispute between orthopaedic and psychiatric experts as to the injuries sustained. Successfully recovered damages on all aspects of the claim. Robertson v Gregory . Instructed on behalf of Claimant in respect of serious ankle injuries. Successfully negotiated. Hubbard v Tissiman and Royal Sun Alliance [2011 -2015], Instructed on behalf of the Claimant who suffered injuries at the age of 16 in  a road accident. Injuries include: open comminuted fracture of the right femur; complex Grade III A fracture, with delayed union; open fracture of the right tibia; multi-fragment injury to the right knee; and Post Traumatic Stress Disorder. C required a tibial osteotomy. Claimant will require a knee replacement at the age of 28-31 and revision at the age of 48-56. Damages awarded in the sum of £716,000 at Joint Settlement Meeting. J v. Thomas, M v Thomas . Instructed on behalf of two Claimants in respect of claims in damages for personal injuries and other losses they suffered as a consequence of historical sexual abuse perpetrated against them by their maternal grandfather when they were 3 –8 years of age. Both Claimants were diagnosed as suffering Specified Trauma-and-stressor-Related Disorder (DSM-V 309.89) during childhood and continuing, Major Depressive Disorder (DSM-V 296.2);  and Panic Disorder (DSM-V 300.01). It was successfully argued at the Assessment of Damages hearing that both Claimants had significantly underachieved at school and suffered a reduced earning capacity as a result. The claim raised issues including whether aggravated damages was appropriate, the correct discount to be applied to the multiplier and the Claimants’ future capacity for work. Both Claimants were awarded in excess of £200,000. Atkins v MIB [2012 – 2015]. Instructed on behalf of the Claimant who suffered significant injuries when aged 18, namely closed head injury, open fracture of the right humerus, multi ligament injury with fracture of the right knee [segond fracture] and fracture neck of fibula, Depression of Moderate Severity, Acrophobia with panic attacks. A liability admitted claim with complex issues in relation to quantum and earning capacity. Damages awarded in the sum of £244,000. Cockayne . Acting for the Claimant in respect of his claim in damages arising out of the catastrophic failure of a hip implant manufactured by leading manufacturer. Claim brought under the Consumer Protection Act 1987. Liability denied. The central issue was whether there a ‘defect’ of the implant within the meaning of the Consumer Protection Act 1987. The claim was successfully compromised. B v Thomas Cook and Unlu . Acted for Part 20 Defendant, Turkish Hotelier, in respect of fatal accident claim brought by B in respect of the death of his wife whilst on holiday. The Claim was successfully defended by the Part 20 Defendant. B v J Sainsbury PLC . Acting for the Claimant in respect of her claim in damages for personal injuries suffered as result of an armed robbery. All aspects of the claim in dispute. The claim was successfully compromised. Whitmore v Sunrise Senior Living Limited . Acting for the Claimant who sustained personal injuries as a result of an assault by a resident which occurred during the course of her employment with the Defendant. Liability for the assault was denied. Issues of contributory negligence and causation were also raised. The claim was successfully compromised. Williams v. The Royal Parks Agency . Acting for the Claimant who suffered significant injury when he collided with unlit dark coloured bollard in a Royal Park. All aspects of the claim were disputed. There were issues of liability, contributory negligence, causation and quantum. Liability was finally agreed 80/20 in favour of the Claimant and the claim was successfully compromised for an award of damages in excess of £100,000. Chambers v. The Steel People . Acting for the Claimant who suffered significant injuries to his leg. Successfully opposed Defendant’s application to resile from admission and claim was successfully compromised in excess of £350,000. Sampson v Robore Cuts Limited . Acting for a 37 year old diamond driller who suffered a crushing injury to his left [dominant] hand leading to Complex Regional Pain Syndrome Type II; Depressive Disorder; and an Adjustment Disorder with Anxiety. Despite significant treatment to the left hand including neurolysis of the digital nerve and local flap to cover the nerve and also further surgery to bury the neuroma the Claimant continued to suffer pain in the hand with reduced grip and pinch strength. The Claimant underwent full implant of spinal cord stimulation which helped to reduce the pain. The need the spinal chord implant Claimant was permanent and the Claimant suffered permanent neuropathic pain of the most severe form. The claim was successfully compromised at a joint settlement meeting for a figure in excess of ½ million pounds. Reddin v. May. Acted for Claimant, a minor, in a personal injury claim in respect of multiple injuries including head injury, personality change, fractured pelvis and psychological injuries. Draycott v Drury. Acted for Claimant in respect of catastrophic injuries sustained in a road traffic accident. Injuries included a traumatic below-knee amputation through the right leg, a traumatic amputation of the right arm, a significant brachial plexus injury and Post Traumatic Stress Disorder of moderate to severe type. Damages awarded in excess of 1 million pounds. Junior Counsel to Colin Edelman QC in which they successfully acted for a large corporation (quoted on AIM) against a leading worldwide insurance group in respect of a dispute concerning a Public Liability Insurance Policy in the context of asbestos related disease. Involved detailed understanding of the cause of asbestos related disease and development of the disease. Michelle Marnham considers the question of when a claim is brought for the purpose of limitation following on from the recent decision of Dixon v Radley House Partnership. ‘She is diligent and personable, with huge legal knowledge.